Monday, September 19th, 2011 | 11:26 am	and filed in Reason, Record. mØxr is a maxmsp based application that converts audio signals to MIDI note events. The application is calibrated to receive Reason CV messages as audio signals, and in turn generate a monophonic stream of MIDI notes that can trigger hardware synthesizers. A new build of mØxr has been compiled with the recent update of MaxMSP 5.1.9. This update is recommended for anyone running the latest version of Snow Leopard, Mac OS 10.6.8 and soundflower 1.5.2. MaxMSP 5.1.9 seems to address issues of running mØxr on Mac OS 10.7.1 Lion. 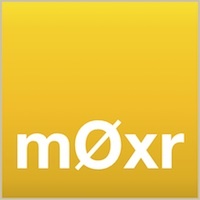 I personally have not updated to Lion and recommend to anyone using mØxr to stay with Snow Leopard. Until Max, soundflower, and all audio drivers are fully compatible in Lion, it is uncertain whether this patcher will function properly. Because soundflower is a Mac OS Core Audio extension, mØxr should be fully compatible with the upcoming release of Propellerhead Reason 6. Implementation of the aggregate audio devices and MIDI drivers is still configured in Audio MIDI preferences, outside of the Reason environment, and so there should not be any issue for those who upgrade. The process of converting Reason CV to Audio relies on a Thor Polysonic Synthesizer, so mØxr will not operate with Reason Essentials.